Enjoy the Ocean Breezes from Your DIRECT GULF FRONT SUN SUITE! This CORNER UNIT CONDO offers wrap around views of the Beaches from the inside and out. This condo is Well Appointed with Granite Counter Tops, Tile Flooring, Newer Cabinets, and Top Notch Furnishings. The A/C was replaced a year ago as well as all New Windows and Sliding Glass Door to the Balcony. This property has recently added an Indoor Pool to go along with many amenities including Outdoor Pools, Putting Green, Tennis Courts, Basketball Area, Work Out Room, Hot Tubs, BBQ Areas and 24 Hour Security. Also, located next to one of Alabama's Premiere Golfing Destinations - Kiva Dunes! 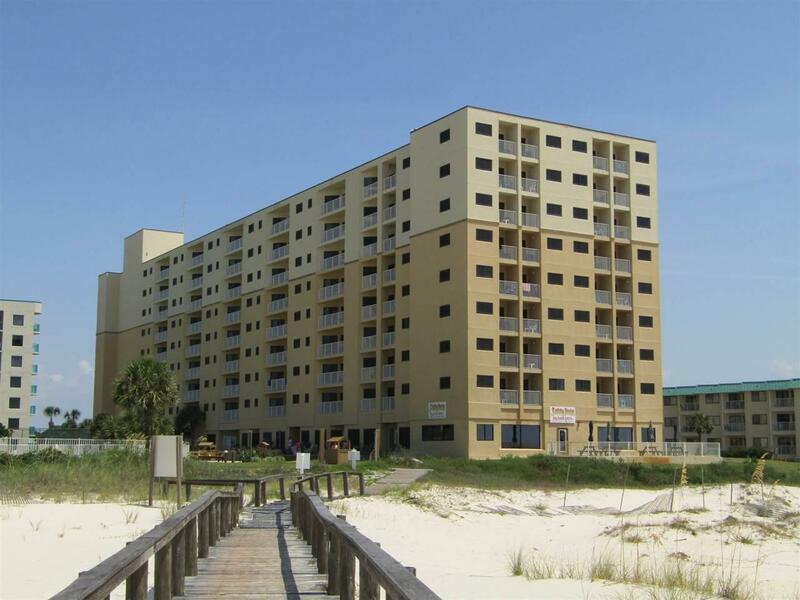 Make this Condo your Beach Get-A-Way at a Great Price! Seller is related to listing agent.